We’re in a real 1980s mood in this week’s roundup of iOS apps—whether it’s music, movies, or even collecting crazes, there are apps that’ll make the old days new again for iPhone and iPad users. 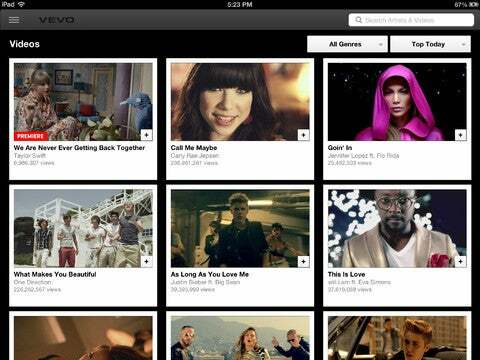 Vevo HD lets you program your own music video channel. See below. Already this week, we showed off a collection of apps aimed at pro football fans, took a look at GoodReader for Good, and let you know about the new standalone YouTube app; over at TechHive, we told you about the updates to Google Drive’s mobile apps. 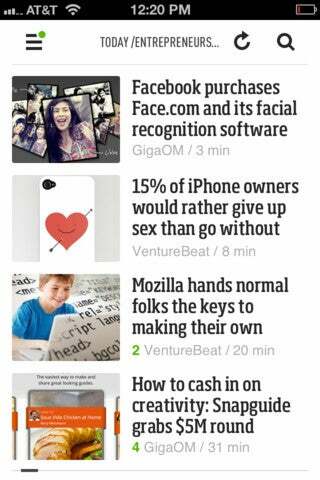 Feedly offers Flipboard-style RSS reading. 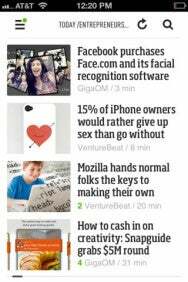 Feedly: We admit to being fond of this free Flipboard-style Google Reader app for iPhone and iPad, and this week’s update made Feedly even better: In addition to being optimized for iOS 6—a week ahead of time!—the app has been redesigned and loads faster than previous versions. 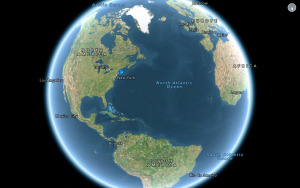 The app now has both “day” and “night” themes, and it supports both Pocket and Instapaper. Feedly also contains a feature we’d love to see in Flipboard itself: A “save for later” button that lets you revisit stories within the app itself, instead of having to shift to another app for those rainy-day longform stories. InstaMessage: When Facebook bought Instagram earlier this year, the idea was that the picture-sharing service would be more tightly integrated into the larger social network. That’s happened, but the new InstaMessage app for iPhone suggests that that Instagram might be sustaining its own independent network. While Instagram lets users publicly comment on each other’s photos, InstaMessage offers them the opportunity to chat privately. There must be an audience for that feature: As of Friday, InstaMessage was already at No. 2 on Apple’s chart of most-downloaded free apps. 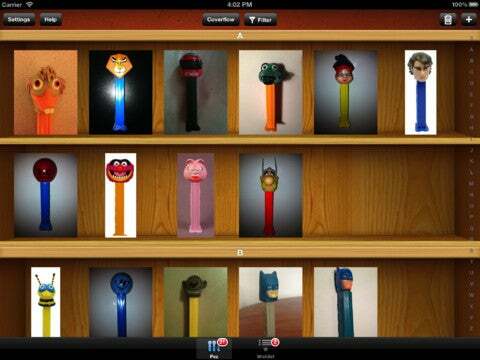 Pez Collectors for iPad lets you inventory your Pez collection. Pez Collectors for iPad: The iOS platform, it seems, has helped revive a lot of old obsessions from the 1980s—often in the form of 8-bit video games. Here’s one more blast from the past: A $6 iPad app aimed directly at the collectors of Pez dispensers. (Kids: They were the bobbleheads of the Reagan era, only with candy inside. How great was that?) You can create a free account, then make an inventory of every Pez dispenser you own—and a wish list of every Pez dispenser you hope one day to own. Plus, there’s Facebook and Twitter integration so you can share your Pez love with all your friends. Team Stream: Let’s face it: Sports aren’t really an activity meant to be enjoyed in solitude. We root for teams, and we often root as teams—gathering at bars and in basements with our friends to catch big games together. Which is why the latest update to Bleacher Report’s Team Stream app for iPhone looks to make fandom more fun: Instead of following your favorite team alone, you can now do it with your friends. The app now lets users create groups of other Team Stream users to let fans of winning teams celebrate together, or let the losers commiserate. It’s even a good place to chat about fantasy football, if such a place can actually exist. The Naked Gun revives a comedy classic. The Naked Gun: Hey! It’s Enrico Pallazzo! 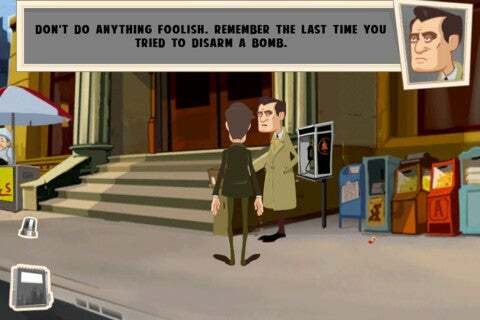 Or maybe it’s just another bout of that ‘80s nostalgia we were talking about earlier—this time in a free game for iPhone and iPad that pays homage to The Naked Gun, one of our favorite comedies starring O.J. Simpson. In the game, you take the streets as Lt. Frank Drebin Jr. (son of Leslie Nielsen’s original character) to solve the mystery of a missing councilman—and maybe experience a few laughs in the process. Getting the full experience will cost some money, however: You’ll have to spend $3 to play the entirety of “Episode 1.” Looks like the cows have come home to roost. TLC for iPad: Finally, you can watch episodes and outtakes from Here Comes Honey Boo Boo for free on your iPad. Actually, that’s all we’re going to say about that. Vevo HD lets you create video playlists. Vevo HD for iPad: The update to this free music-video viewer for iPad is pretty nifty—like a mix of Pandora and MTV, back when MTV used to show music videos. (Yes, we are caught up on ’80s nostalgia this week, aren’t we?) The app lets you pick featured artists and offers custom video playlists to match your selection; Vevo HD also integrates with your Facebook account so you can make recommendations and see what videos your friends like. And there’s information: Click on an artist and you can discover their bio, Twitter feed, tour dates, and full video catalogue. Rock on! Other apps of note: AmpliTube has been updated with new amplifier and stompbox effects for guitar players … Tumblr has added features that make it easier to find new blogs to follow, and make it easier to communicate with friends … The Wall Street Journal has been improved with quicker downloads and more frequent updates of the news.